I've been working on my resolutions. I'm aware that there's stuff I should do that I've left off (sleep, for example). But I'd rather convince myself I have magical powers when it comes to not needing sleep as much as some. So, here's the list of things I want to change that I'm not grudgingly in denial about. 2008, bring it on! I find it easy to spend money on very expensive, but very portable, little things - probably because I've moved around so often. However, when it comes to buying larger scale investment pieces, I have a mental block. Now, as I seem to be settling down at last, it's become glaringly apparent that there's a discrepency between the accessories and the furniture. (1) Table-come-desk: Right now I have an IKEA table, which I redeemed somewhat by painting with Farrow & Ball paint. The wishlist is an Eero Saarinen tulip. I've looked at the notorious IKEA Docksta, but have decided I'd feel like a complete fraud if I did it. The image shown here is from Tom Sheerer. (3) Bed: My bed itself is a decent Obusforme, but I bought it on a budget when I landed and ultimately would prefer something plusher. As for the bedstead, I just got that horrible metal frame they sell with the bed because I knew I would never cheap out on a bedstead. 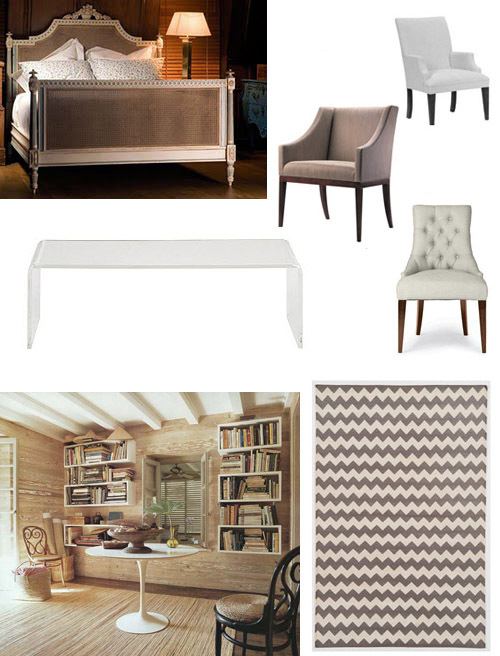 The dream is this French cane bed I've put on every wishlist I've ever blogged. The bed shown is from And So To Bed, a UK company. (4) Rug: I have no rug again because it's not something I wanted to skimp on. 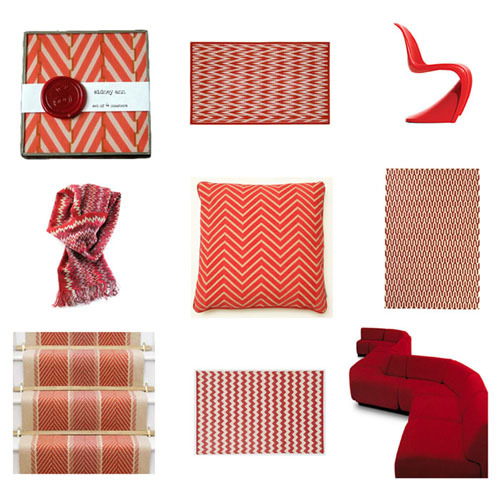 Clearly, the rug I wish for is by Madeline Weinrib zig-zag in brown. (5) Coffee table: Right now I have another IKEA piece that I painted. I loathe it. If I had a magnifcent rug, I'd opt for a clear coffee table like this. This one is from CB2, there's a similar version available at South Hill Home for Torontonians. The dream table is really this, but I'd really rather spend the money elsewhere. Because I'm a renter, it's imperative that any investment pieces are as flexible as possible, classics that will translate to other spaces and ultimately that I'll find a place for when/if I buy. On the other hand, I'm not going to second-guess myself till kingdom come... Looking at what I've selected it all comes off as fairly classic, but it's with artwork and accents that loosen things up and I have both aplenty. It's not unusual for me to read a book a week for long spells. I'm an ardent reader and have been since I was very young. I always feel better about my life (regardless of whatever else is going on) if I have those quiet moments on the subway or Starbucks to squeeze in a chapter. William Boyd's Any Human Heart was a definite favourite of recent years, a book I still miss reading. I bought his latest, Restless, some time ago but it sat on my bookshelf as I picked away at other books, failing to hone in on anything substantial. I typically buy books faster than I read them, even at my fastest speed. 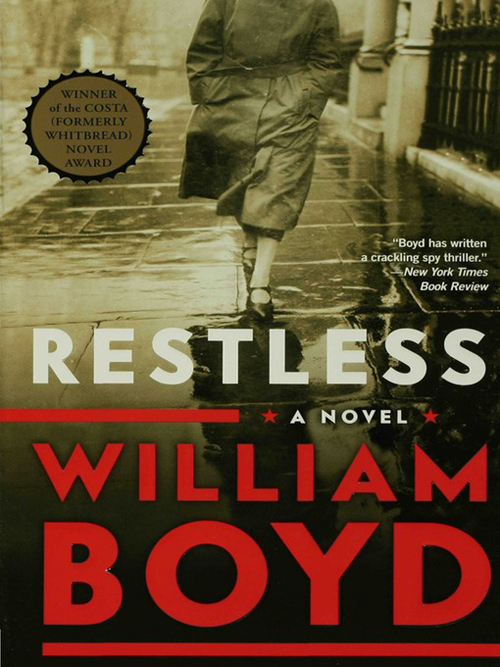 But finally, on Friday, I grabbed Restless off the shelf and spent all day yesterday gobbling it. At 5am I finished it. Satisfied, sad, a little unsettled. Part of my New Year's "balance" resolution is to save more and, when I do spend, to spend on those larger purchases and traveling rather than all those small, but expensive, purchases I really have more than enough of. That said, I'm not going to become a complete skinflint when I come face to face with a bargain. 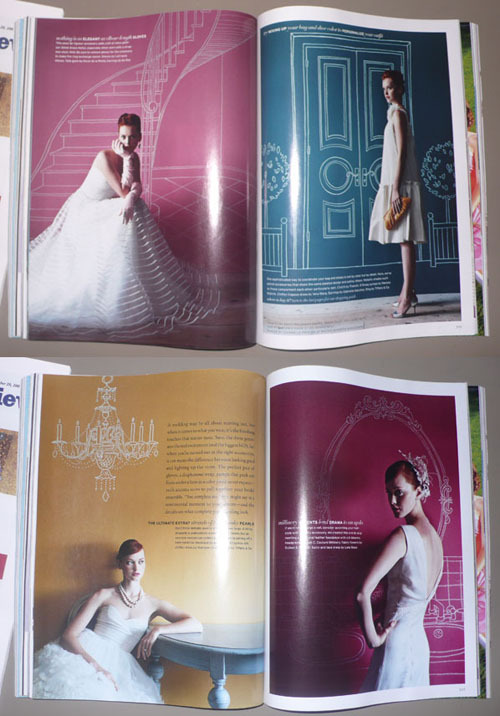 I'm in love with these lovely illustrations by Mariko Jesse, from the current Martha Stewart Living Weddings. I think they're a perfect idea for a little girl's room too. 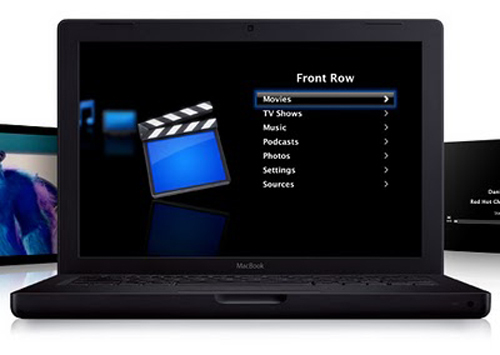 I've spent the past week uploading all my CDs to my new Macbook. Until now, my Nano was synced with my work laptop, so I was somewhat restrained with the music I uploaded. But now, for the first time, I'm putting everything I own on my iTunes. And boy, do I love ever love Joni. Either that or I have some Joni-CD-buying disorder. It's fun listening to CDs I haven't heard in a while. Right now I'm loving Uncle Tupelo's March 16-20, 1992. I've been thinking a lot about resolutions the last week. It seems a nice idea to lay out goals at the start of the year. And I firmly believe that writing things down makes it more likely you'll get it done. But I'm loathe to list a bunch of abstract or unrealistic goals. What do you think? All that I'm leaning towards right now calls for balance. I'm an all-or-nothing type and let work take over too much. I let things slide that I love, like yoga or running or reading as soon as there's a blip at work (which there is almost fortnightly). So, my resolutions this year are mostly about making frequency commitments to those things that I will keep no matter what work throws at me. And then realizing that I can say no because I have those commitments. Doing a yoga class a week, or taking a half hour lunch to squeeze out a chapter won't make me less ambitious or respected. Now, I just have to really believe that. What is it about we women that makes us feel we have to prove ourselves to the nth degree, while the men never seem do an extra iota until they've been paid and promoted for it? Helen Fay is a British printmaker. 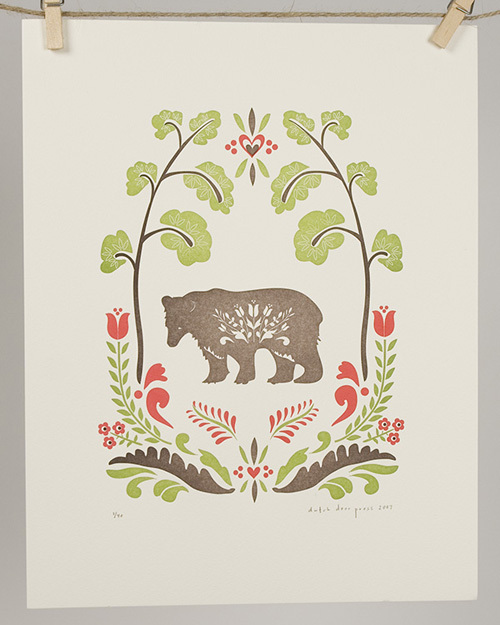 I'm particularly taken with her dog prints (though I have a well documented soft spot for the moose too). 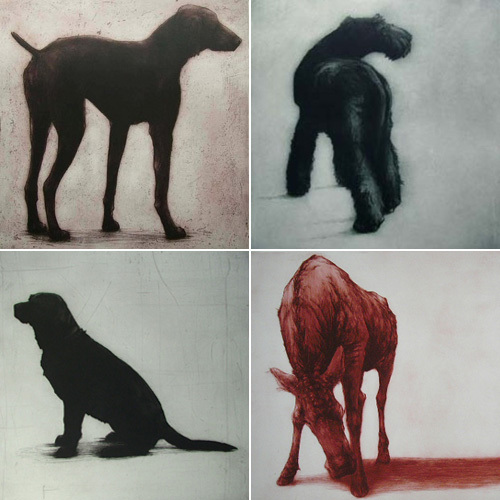 There's certainly a nod here to natural history illustrations, but there's a dense expressive tone too that renders her work far more contemporary, less antique, in tone. You can purchase prints online here. I got some amazing gifts for Christmas! From BFF, I received the latest book by my second hero (after Beckett) - David Attenborough. I completely grew up on Attenborough documentaries and still learn something every time I watch them. He's amazing, has had an amazing life that I envy in almost every respect. 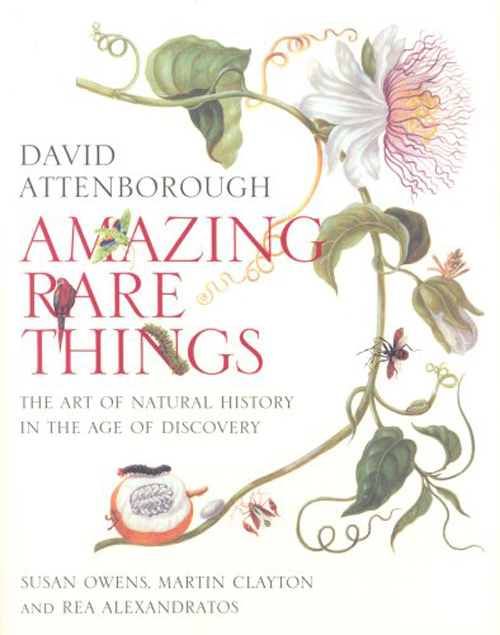 Amazing Rare Things is a beautifully illustrated book, but so much more than a coffee table book. I want to memorize every bit of it. When I started this blog I didn't really think about people I didn't know reading it, but Google Analytics tells me there are lots of you, silently reading this thing that has become more than I ever expected. 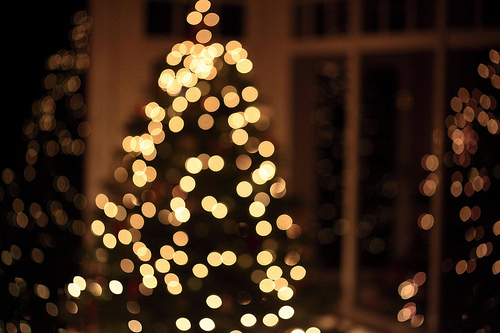 I'm taking the next two days completely off, drinking, eating and taking a moment to hear those bells ringing. I hope you all have a lovely break, however you spend it. For those at home, Nollaig Shona daoibh! I discovered the work of Jamie Kapitain through Canadian House & Home magazine's excellent Canadian edition. Jamie's a Toronto-born artist, now living in Guelph. Some prints are available for purchase by contacting him through his site. I know it's a little late for gift suggestions, so this will have to hold over to my 2008 wishlist (which has already inherited a fair chunk of 2007's unfulfilled wishes!) 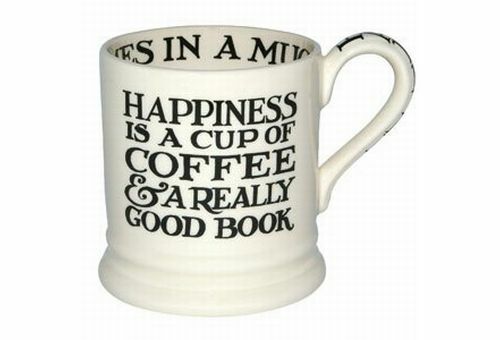 This mug is from Emma Bridgewater. I haven't been reading as much as I would like lately. Work has been fairly hectic the last few months, and unfortunately not in a fun way. Hopefully, 2008 will be the good kind of hectic, one which leaves me time to read! 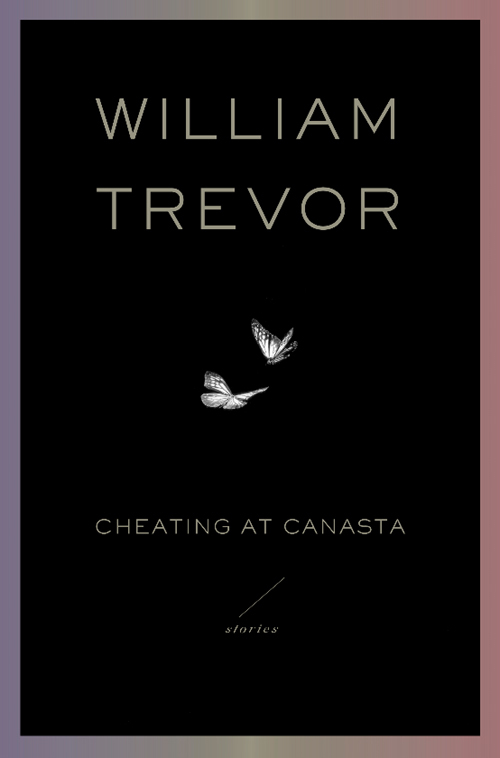 I'm hoping to get through William Trevor's Cheating at Canasta before the week is out. I spent the weekend slavishly cleaning. 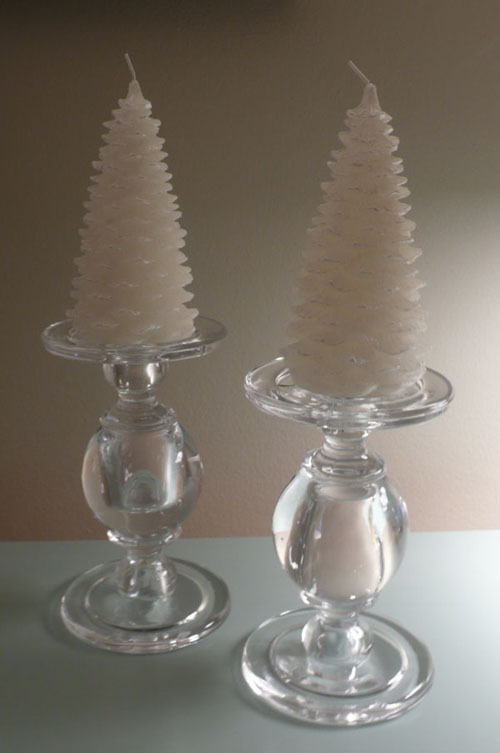 I emptied all my cupboards and polished all my crystal and glassware. I vacuumed and then scrubbed floors the way you only see scullery maids in period dramas doing. I did a whopping five loads of laundry, tidied my drawers and wardrobe. And I got groceries in for Christmas and managed to create a garland for my windowsill. I have to go back to Whole Foods tomorrow to get the few must-be-fresh items and flowers for the table. Two more sleeps! Just when I was thinking that I've become perfectly humdrum, I do something unexpected, even to myself. Diana commented yesterday that Beckett's shorts are playing at the New York Theatre Workshop. 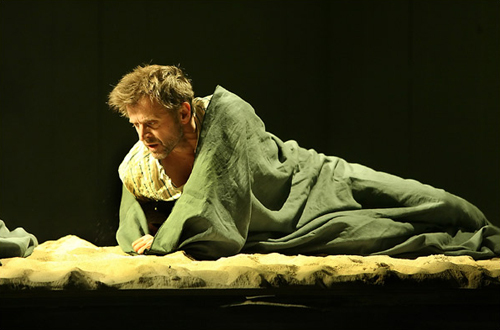 And, when I went to the website, I saw Baryshnikov is performing (image via NYT). I bought a ticket on impulse and booked the flight last night using points. I have enough leftover too for the hotel, just need to figure out where I should stay (reasonably priced suggestions?) So, January 18, I'm off to New York for a weekend, a play, museums and, of course, Payard and shopping. Thanks to Diana! There's still life in this old dog yet. Update: I booked a hotel! Given the literary nature of the trip, it's too perfect: The Hotel Chelsea. I don't even care if she's a little rough around the edges, the story is too perfect and I keep hearing Leonard (who I also love) singing Chelsea Hotel. People think I'm a cold fish sometimes, but I lose my mind over these silly romantic ideas. I learned about Stephanie DeArmond from the blog of Doug Wilson, the marvelous creator of my beloved Big Type How I Love Thee. I usually resist the urge to repost content I've seen on other blogs, but this deserves an exception. 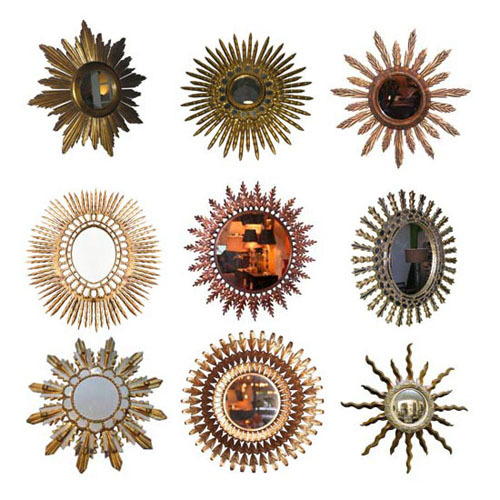 My love of sunburst mirrors and convex mirrors goes back to studying Van Eyck's Arnolfini Wedding. 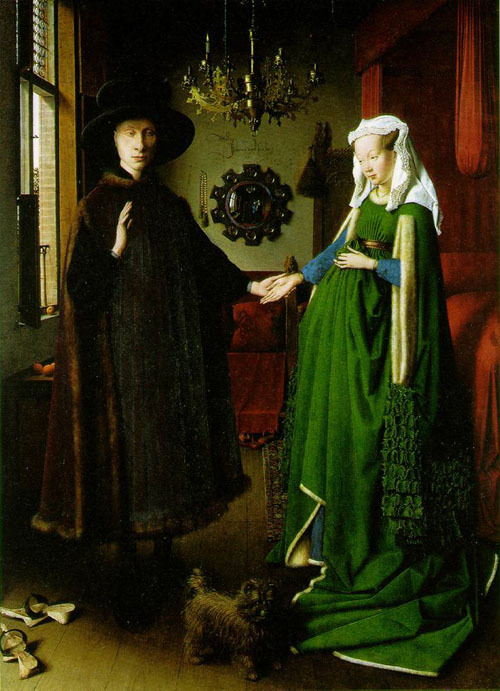 I loved this reflected wink to the viewer, which reveals the artist himself, as well as the opportunity Van Eyck took to beat his chest about his artistic prowess, all the while recording somebody else's marriage. 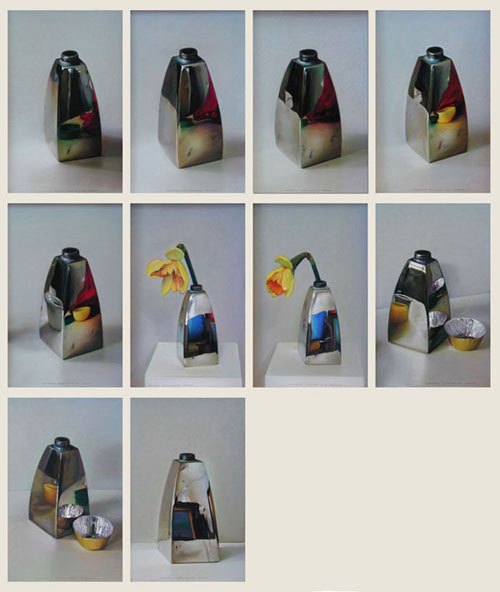 Then I read Hockney's Secret Knowledge and learned the importance of optics, lenses and mirrors in these artists work. It remains one of my favourite art books. 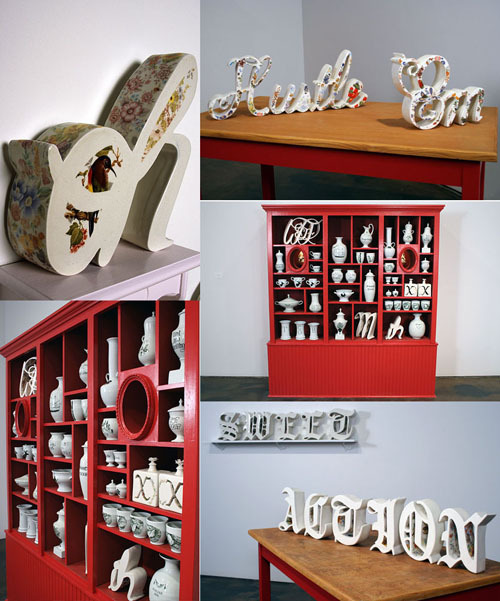 The small selection shown is from 1stDibs, each stunning - I couldn't pick a favourite. 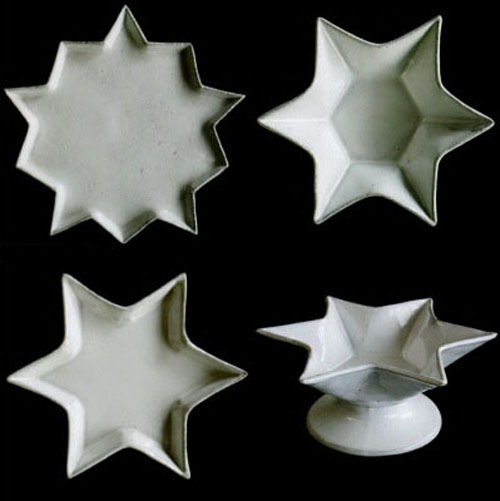 I also am lusting after everything from the Etoile range by Astier de Villatte. 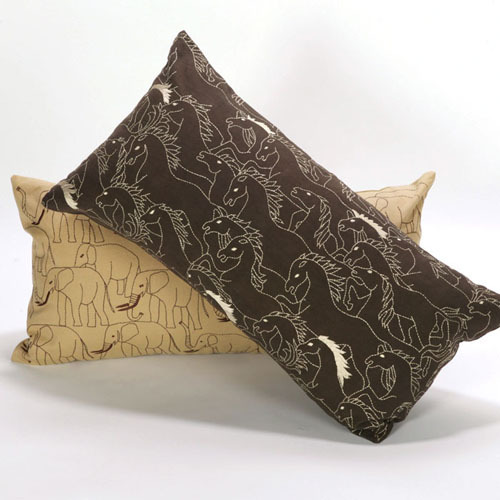 I'm in love with these horse cushions from Z Gallerie. I'm sick with cold today so have been flipping between wanting to sleep and feeling too achey and congested to actually sleep. 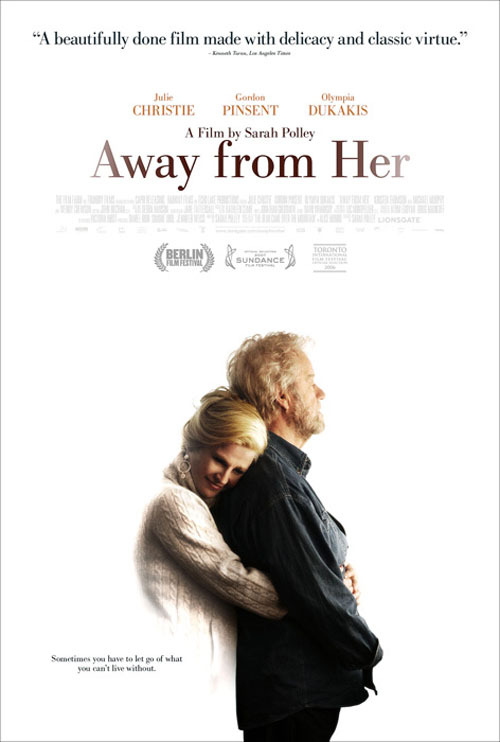 I got up and decided to watch Away from Her, a Sarah Polley movie based on the short story by one of my favourite writers, Alice Munro. I was prepared for a weepie, but just like Munro's stories, it's a slow simmer, with more restraint. There's lots of silence and space so the drama really sinks in rather than moving you to a sudden burst of emotion. The best traditions are always the ones that are entirely subjective, not at all compliant to seasonal norms. 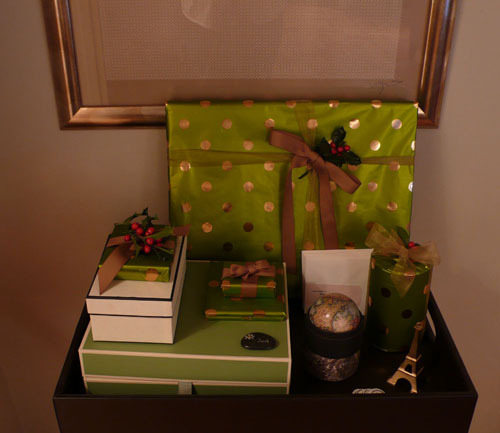 Yes, I love the decorating and gift-giving. 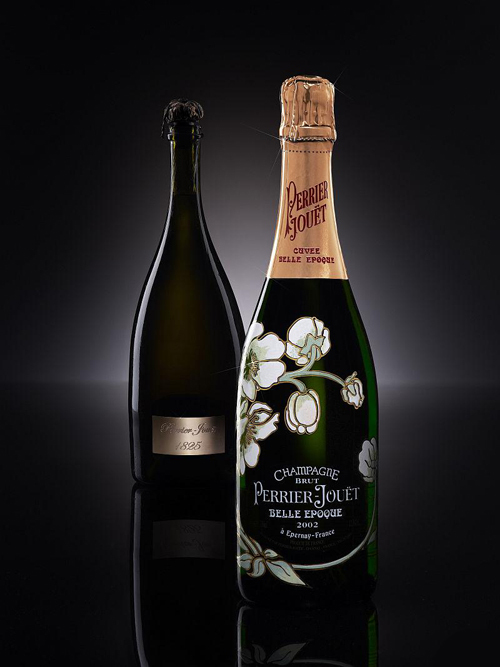 But one of my favourite Christmas traditions is sharing a bottle of Perrier Jouet. Their signature art nouveau bottle might be my favourite packaging of all time. The bottle, decorated with white anemones, glazed roses and golden swirls and was created by master glass-maker Emile Galle, but lay forgotten for almost 60 years. In 1964, the bottle was rediscovered, shrouded in dust, and was used to launch the prestigious cuvee Belle Epoque. Now, if only it didn't go down quite so easy! You've read me waxing lyrical about the wonders of Avoca. It's such a dream store. And they've launched e-Commerce! A little history: Avoca was started in 1723, a local mill in every sense: Grain-grinding, spinning and weaving. It evolved pretty much as one would expect - the blankets gained popularity among tourists and the Mill sprang off a tourist store, cafe etc. Avoca (a town in Wicklow) was always a popular day-trip destination when I was young. Then, suddenly, they went retail. Stores opened in Dublin city centre, and Powerscourt, a beautiful estate in the Wicklow mountains. The products fought with the food for top spot, but thankfully there was room for both. 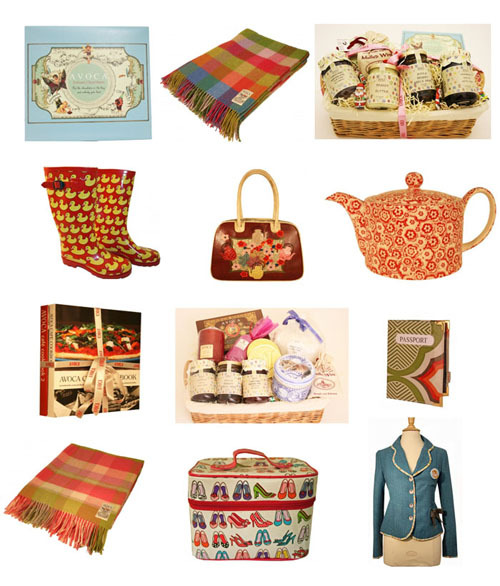 Many of the woolen products hark back to the original business, but jewelry, toys, recipe books and pottery round out the selection to create a wonderful mini-department store. I'm a complete snob about scented candles. Favourite brands include Diptyque, Jo Malone and D.L. & Co. 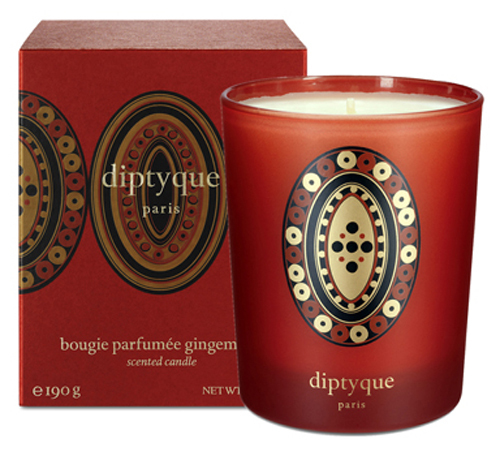 I really want the beautiful Diptyque candles shown below. I've blogged about Andrew Hemingway before. He's one of those artists I could truly go berserk buying en masse if the budget permitted. This series is new at the Godard Gallery. As previously posted, I'm going sans-tree this Christmas. This image, which I pulled from a magazine many years ago (and so cannot credit, I'm sorry to say) explains why. 18 feet of perfection. 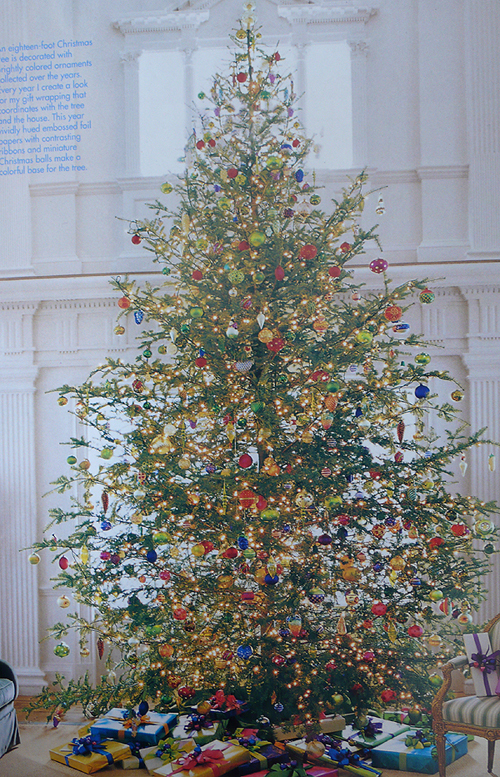 In my mind, this is the Platonic ideal of the Christmas tree. And if I can't have this, nothing will do. 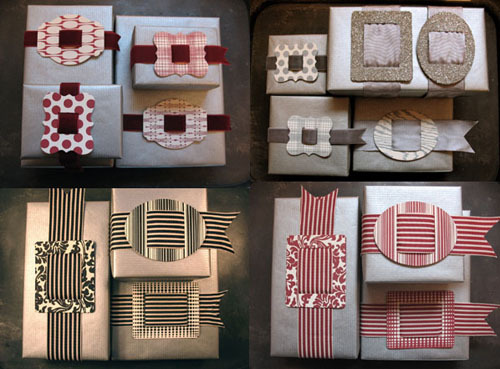 My love of the Madeline Weinrub zig-zag rug is well-documented. Here are some other red zig-zags that have caught my eye. 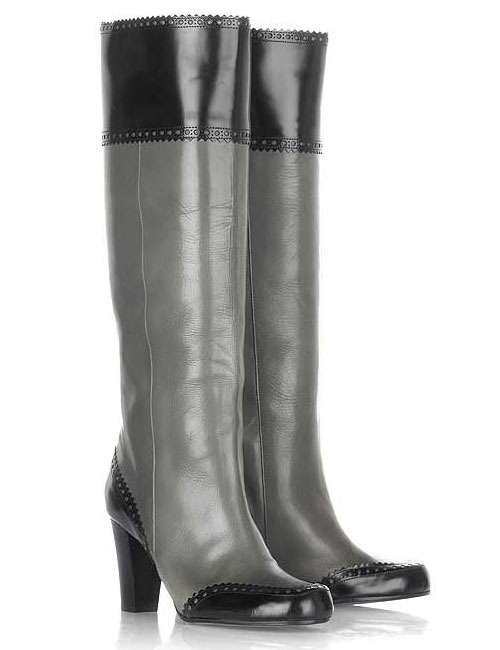 I can't justify wearing these gorgeous boots in Toronto's salty slush. But, I love these ones by Olivia Morris at Net-a-Porter. 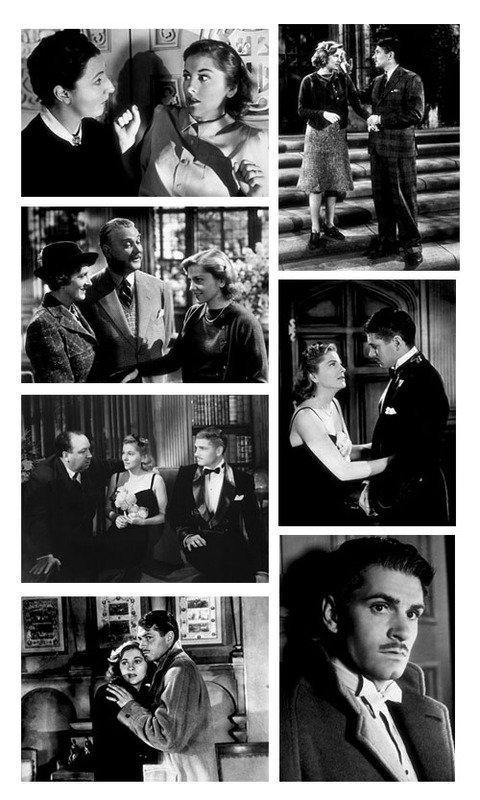 I got a sudden desire to watch Rebecca tonight - it's one of my all-time favourite movies and contains the best proposal: "I'm asking you to marry me, you little fool." 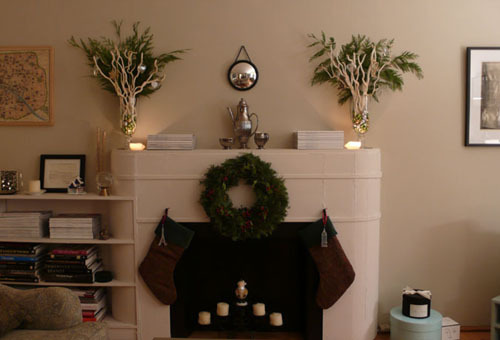 Last week, I began decorating my apartment for the holidays. I wanted to have a seasonal feeling for a wee gathering I was planning last night, so the mantle and windowsill were decked for the occasion. This year, I'm not getting a tree. This is massively controversial for me, but I was inspired by Housemartin and am writing a column for work about it too. Today was a slow day, thanks to the wine imbibed last night. People are starting to get crazy in the stores. Whole Foods & Williams Sonoma were filled with those glass-eyed, on-a-mission types who won't hesitate to bodycheck you with their double bugaboos. 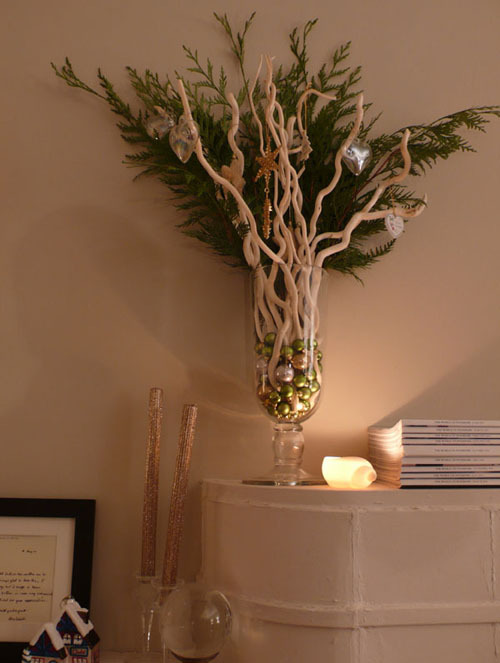 Despite all this, I love Christmas, the decorating and entertaining! Here are some shots. Are shadow hands gonna be as big as Rorschach-inspired pieces? I've got a gut feeling we're gonna see a lot more... This is a favourite from Alyson Fox at Keep-Calm. I've been a good girl lately on the old Etsy. My two tech purchases managed to sate me, plus I'm still waiting for delivery of some of the past purchases and then have to frame them etc. But... I did discover these letterpress buckle ribbon tags from D. Sharp. Thankfully, I still have some wrapping to do. I am so doing this! Thanks to Alice's comment, I learned about Civilettes. The description reads: "Hand one to the stranger who used his van to push your idiotically gas-less car to the nearest station (true story,) drop one on the desk of the colleague who had your back during that contentious meeting, place one in the tip jar at your local coffee shop (preferably with a dollar bill wrapped around it.) 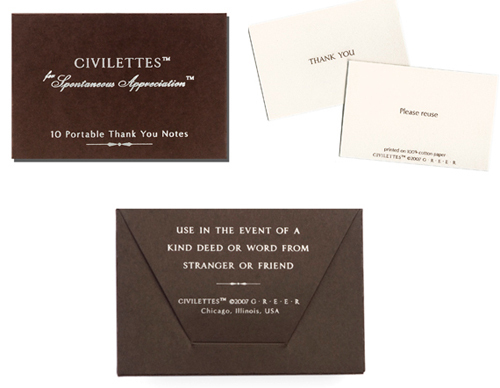 With Civilettes we unashamedly hope to spark a "civil-ution," aided in part by the "Please reuse" printed on the back of each card." Quite right! Thanks Alice! I'm quite taken with the letterpress cards by Dutch Door Press. And if you're looking for something a little larger in scale, the same duo have created a limited edition letterpress print (bottom) for sale at Rose & Radish. Okay, okay, I know this seems excessive in one week, but the fact is these were long overdue. My little baby of an iBook (circa 1999) is on her 9th life and attached as I am to her, it's time for a newbie. 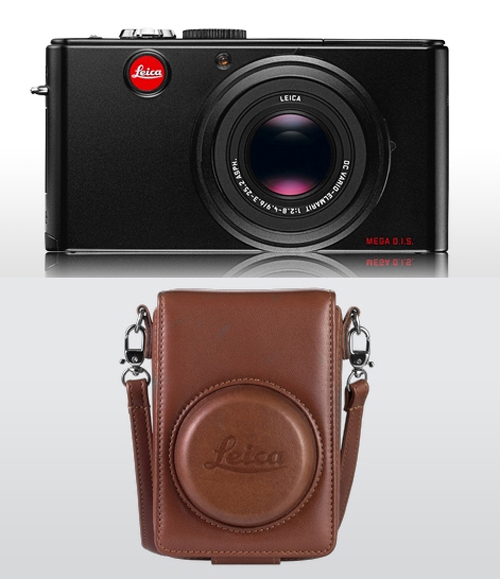 I went for the black for entirely impractical reasons: My Nano and Leica are both black. Plus, aren't you getting a little jaded of the whole silver technology thing? I love the "British robin": They're massively precocious and will follow you around the garden or park. In Life of Birds, David Attenborough (who I love!) claimed they used to follow wild boars foraging in the forest and pick up small insects from the overturned leaves and debris and that's why they're so tame around larger mammals. 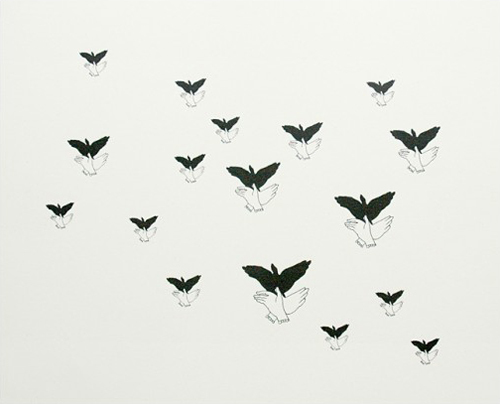 For us, they're a symbol of winter, rather than Spring so they're a popular Christmas motif. 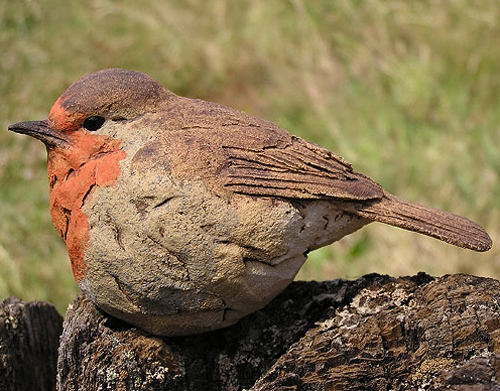 I love this stoneware robin from Dee Puddy. 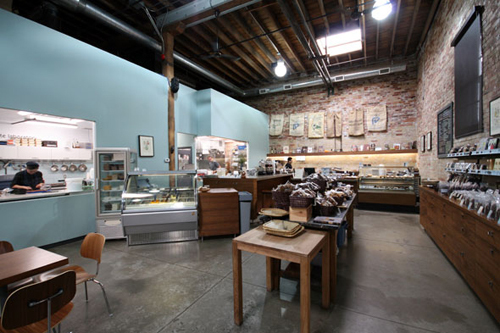 Yesterday, to build up to the Great Leica Splurge of 2007, BFF warmed me up with a shot of Mayan hot chocolate from Soma (image via). If you're in Toronto, this is a definitely decadent treat. While you're there (if you have a bigger budget than most), Fluid Living now stocks Hastens beds. Yes, they're as comfy as you'd expect. 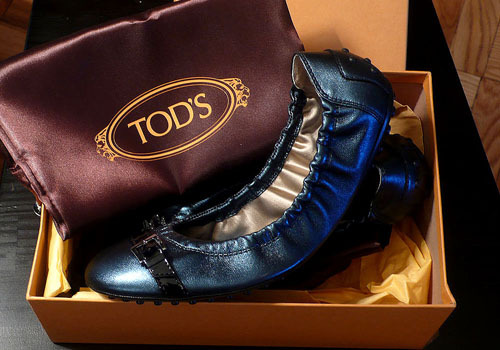 Somehow, though, I'm not sure they will ever be on even my most ultimate of wishlists... Still, it's fun to lay on one, just for a wee sec. I've been waiting a long time to make this purchase. Right now the battery is charging and I'm aching to take her for a test drive. I got this gorgeous case with it too. She's a beauty.